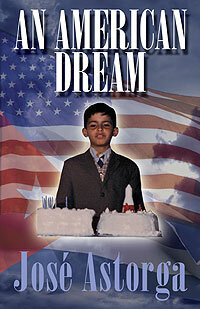 An American Dream is the true story of a young boy's battle with his environment and himself and life's lessons learned. It is a retrospective tale of growing up different in a society where different is often shunned and ridiculed. An American Dream is also a wake-up call. Being in touch with my mortality has given me a new appreciation for life. I am grateful. I appreciate every morning when my eyes struggle to open as I shake away the cobwebs of a dream-like state. I am grateful for the beauty of a clear blue sky on a sunny day. I appreciate the chocolate darkness of a moon-lit evening. I appreciate the ocean blue with its overpowering vastness and abundance of life—life that gives life, a world within a world. I often ride to work bathed in the early morning sunlight and refuse to put on my sunglasses. I just drive and admire the sun’s rays bouncing off whatever they hit. I look out across the horizon and am awed by an overpowering sensation of momentary peace. I am grateful for the love and support of my family, whose love inspires me to press on through life’s many challenging tests. That in choosing between pain and pleasure, I strive for sagacity with an eye toward the consequences for my opposite, my likeness, and me. All lessons learned late in life; a search for balance that endures in perpetuity. My father had a small statue of a clay Mexican sun hanging on the wall of his living room. He told me it was his favorite thing because it represented life and freedom. I asked my mom if I could have it. It now hangs in my bedroom and I acknowledge it every day; it represents life, freedom and my father. We can’t emotionally prepare for the death of a loved one, but we can certainly live our lives so that the emotional impact of losing a loved one is somewhat tranquilized by the absence of regret. José Astorga is an ex-Marine, a father and a working man who continues to be a student of the human condition, wielding the written craft to enrich the mind and the spirit much like an artist wields a brush with expression, imagination or view of the world. 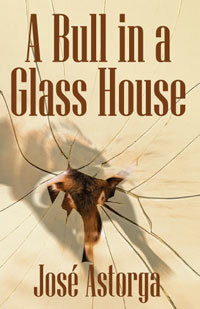 An American Dream is the second in what will hopefully be a series of pursuits that will benefit the earnest reader.